Julie Gearan, photo by Scott Lapham. 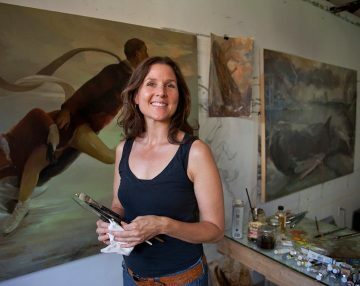 Julie Gearan enjoys exploring a narrative in her painting; she describes herself as “a painter of themes that connect human relationships of past and present, linking ancient myths with our current everyday lives.” She also is interested in the portrait as a genre, and has recently been selected to paint the official portrait of Governor Lincoln D. Chafee. Gearan received her BFA from the Tyler School of Art, Philadelphia, and her MFA from Indiana University in Bloomington. She has studied, worked and lived in New York, Philadelphia, Italy, Chicago, and Providence; she currently teaches part-time at the Rhode Island School of Design and Roger Williams University. Oil on canvas, 60 x 48 in. Featured in: NetWorks 2013 – 2014. Executive Producer: Joseph A. Chazan, M.D. NetWorks Rhode Island - Highlighting the work of selected artists who have played vital roles in shaping the contemporary visual arts community in Rhode Island. This collection of brief video portraits provides a window into the lives, practices, and cultural contributions of professional artists. 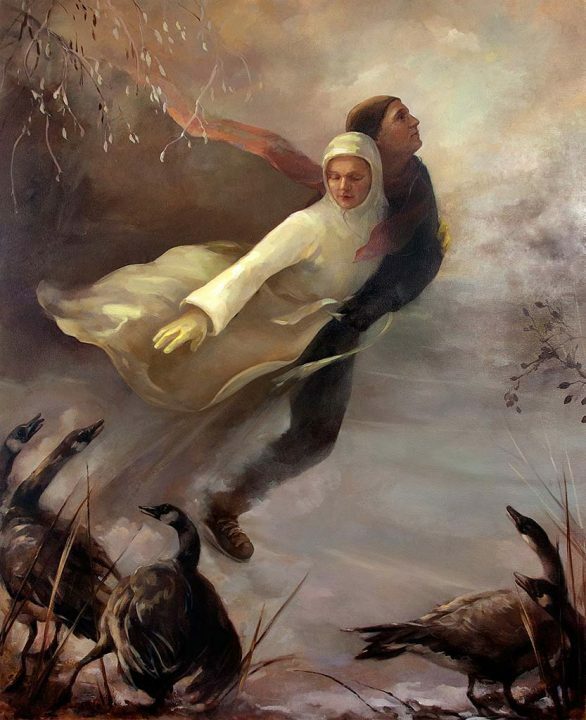 NetWorks Rhode Island highlights the work of selected artists who have played vital roles in shaping the contemporary visual arts community in Rhode Island. This collection of brief video portraits provides a window into the lives, practices, and cultural contributions of professional artists. .
© 2017 Joseph A. Chazan M.D.